Bathrooms are an integral part of your home. Besides the obvious uses, your bathroom can be a reflection of you and your house. Just like any other space in your home, this room needs to be updated from time to time. 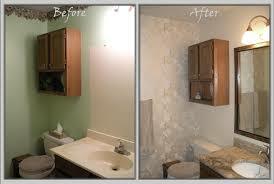 If you want to rejuvenate your home, then nothing can work better than bathroom remodeling. When you have Tiger Plumbing experts completing the remodels, you can have peace of mind that a sleek and professional look is conferred to your bathroom. Read more for a better grasp on the various bathroom remodeling solutions. Tiger understands the necessity of space and we make sure that space is perfectly utilized in your bathrooms. We can change the cabinets, vanity countertops, plumbing fixtures and faucets, and anything else that you require, in order to offer better space and proper structure in your bathroom. It may seem like a completely different room afterwards! In fact, you will be able to easily relax in your bathroom afterwards because you have chosen the best professionals who will ensure viable and effective space utilization. The experts at Tiger Plumbing are adept in their jobs and we will offer you a new way to relax with better and more practical bathroom products. In fact, we can offer spa-inspired bathrooms that are not only well-featured but are also innovative and unique. With these unique and spacious bathrooms you will get a new way to relax. In choosing Tiger Plumbing for service, our technicians will help you realize the advantages of a proper and spacious bathroom. In addition to the standard solutions for bathroom remodeling, you can also add a customized structure or feature to your room. Pop culture and personal style can blend to create your own personalized bathroom. Examples can range from adding vibrant shades on the window to changing the old tiles on the floor or wall, to having modern cabinets and sinks, all in order to add a new hint of innovation to your bathrooms. 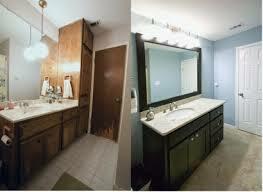 You can always get your bathrooms stylized the way you want by choosing Tiger Plumbing for renovation. We are professional and offer you the most hassle free local services. We will help you create a perfect and well-defined bathroom. 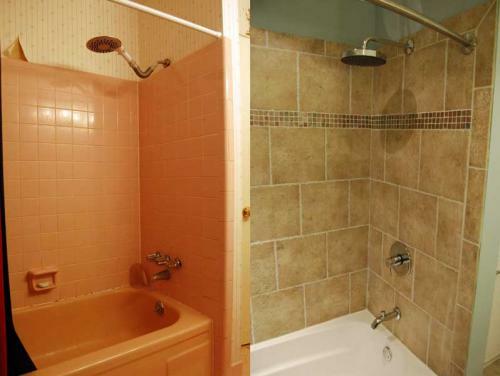 Tiger Plumbing can also update the entire structure of your bath and confer a stunning look to it. Whether it be converting an old bathtub to an entire tub/shower surround to changing all the fixtures to a more contemporary look, Tiger has you covered. If you are looking for professionals who will change and update the little things in your bath space, the bath remodeling experts at Tiger can help. 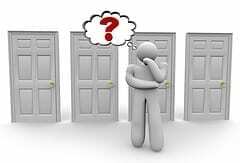 Let us know what your ideas are and we will be able to help you create an exquisite bathroom. Call Tiger today at 1-866-TIGER70 or visit TrustTiger.com to schedule an appointment and let us help you turn your dream bathroom into a reality! Did your latest water bill seem higher than normal? There are a lot of reasons your water bill may have spiked recently, but it may not just be because you’re running the sprinkler during the dog days of summer. Let’s take a look at some of the more common causes that can lead to a pricey water bill. Toilet – The most common cause for a high water bill is running water from your toilet. A toilet that runs continuously can waste up to 200 gallons a day. That alone can double a family’s typical water use, so fix toilet leaks as soon as possible. If jiggling the handle works as a temporary fix, it often means that the insides of your toilet are in need of some TLC. Faucet – Look and listen for a dripping faucet. 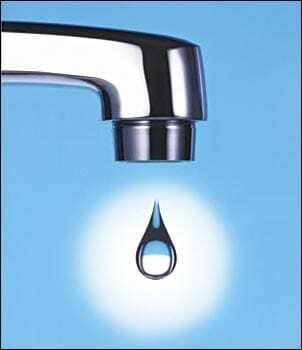 A faucet drip can waste twenty gallons of water a day, or more! Water can corrode interior parts, but those parts can be replaced. Outdoor and underground leaks – Leaks can also occur in harder to find places, such as under your house or in the service line between your water meter and your home. Check outdoor spigots and crawl spaces, and look for wet spots in your yard, which may indicate a leak. Address them now before winter arrives, because those outdoor problem areas will freeze and complicate the issue exponentially during the winter months. A broken water pipe or obvious leak – Check the pipes in the basement or crawlspace; the water heater could also be leaking. A leaking pipe can cause unseen property or foundation damage. If a leak is around your water heater, it could limit the life of your appliance. Filling or topping off a swimming pool: Designated areas of entry and exit are generally designed to flow water back into the pool (as opposed to jumping over the side). Watering the lawn, new grass, or trees: Get the most hydration for your vegetation by watering in the early morning or late evening, or when there’s indirect sunlight in the area. Children home for summer vacations or school holiday’s: excessive or negligent water usage is generally only noticed by those paying the bills. If you have an unusually high water bill, call Tiger today at 1-866-TIGER70 or visit TrustTiger.com to schedule an appointment and let us evaluate your plumbing system to see if it is a leak that’s causing your excessively high water bills.